GDP has long been used as an indicator of the strength of the economy. 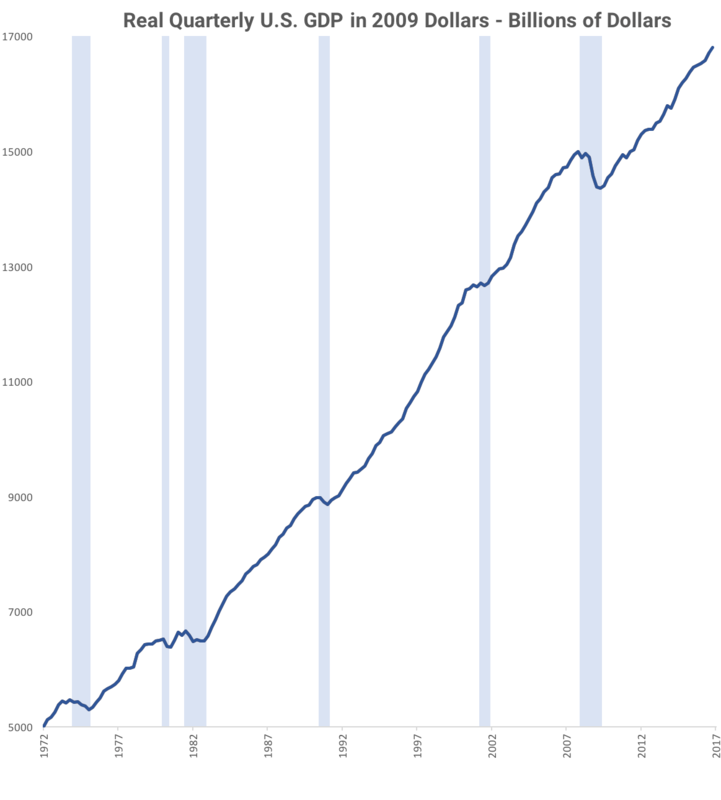 If real GDP, the country’s gross domestic product that has been adjusted for inflation, goes up, the economy has grown. Yippie. By this yard stick, the United States has grown considerably since the great recession. Unfortunately, a linear graph does not tell the story about the rate that the economy has been growing. 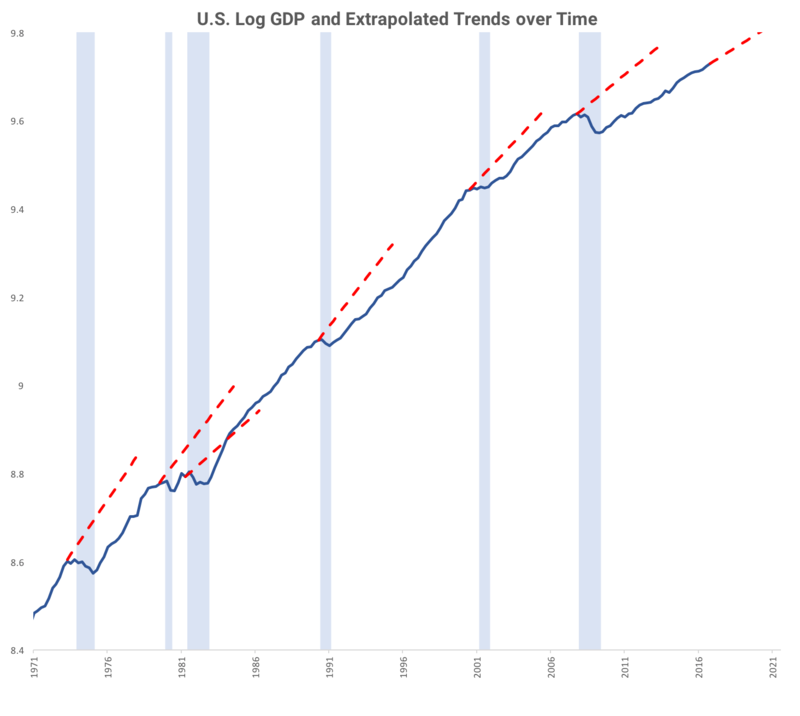 We can obtain a clearer picture by looking at the log of GDP over time. From this perspective, we can see that over the past 55 years that GDP growth has retarded following 6 of the past 7 recessions, with the exception following the double-dip recession of the late 70’s/early 80’s. The persistent effect of a negative event after its initial cause is referred to as economic hysteresis. The IMF has noted that this effect is not limited to the United States, but also extends to most European economies as well. There are several theories about why economic hysteresis occurs. 1) A financial crisis can trigger institutional changes, like tougher capital requirements, that can affect output levels. 2) To save on costs, firms may cut back on R&D during recession, which leads to lower productivity levels than had there not been a recession. 3) In the labor market, the high extended unemployment associated with a recession may cause some workers to become outmoded, and drop out of the labor force permanently. Since one method of valuing a company’s stock price is the cumulative representation of future earnings, this observed hysteresis suggests that investors should taper their expectations about future market returns. But it’s always dangerous to judge future earnings on historical data, and political forces could reverse this trend. Time will tell.